I don’t normally write prose, much less attempt stories. But, some weeks ago I had an inspiration to write this one down. I don’t know if you call it a short story or flash fiction. Perhaps someone can help me define it. I wondered what to do with it, and finally just decided to post it here. I hope you enjoy the story. It was fun to write, and one of the easiest things I’ve written in some time. Edward stood in the center of a plaza, unsure of how he got there. People were quickly moving to his left and right, and music blared from a nearby loudspeaker. He could smell cooking onions and garlic. Looking around, he noticed a number of tents and kiosks; all of them were dedicated to a different food presentation. He began to listen intently to the voices around him, mostly talking in low murmurs. Conversations about the spiciness of the curry chicken, a woman needed to return home to let out her dog, two men discussing the results of a basketball tournament. He looked around, immediately noticing that no one else in the crowded plaza appeared to hear the voice. Edward looked up at the sky. “Twenty paces,” the woman repeated. He stepped off the twenty paces, counting to himself. Finding himself at the edge of the plaza, there was a pathway that led into a courtyard. Past the courtyard was a glass building. People were still milling about the plaza, but none seemed to notice him pass by. He turned to a man wearing a blue cap and asked him about the building just beyond the courtyard. The man smiled and then walked past to greet a woman and child moving towards them. The man hadn’t heard, or even seen Edward there. Suddenly, everything went dark. Edward blinked his eyes and when he opened them, he was lying on a table. He focused on the ceiling above him. He thought about moving, but remembered that he could not. The same woman’s voice spoke again -but not to him. “Yes, Doctor Woodrow,” came the reply. Edward listened as others moved around him. No one spoke directly to him. There were sounds of activity and electronic beeps. A few minutes passed, then his gurney moved on its own, out of the room. Gliding along some rail system, Edward moved through quiet, well-lit hallways and finally ended his journey under a clear plastic dome. The music started, first quietly in his mind, then it washed over his entire body. Edward did what he had always done – at least all he remembered- he fell asleep. Dr. Eve Woodrow walked quickly to her office from the study suite. In her mind, she was going over the details from the last session. The subject had already shown great independence in the simulation scenario, as if there was already a familiarity with the power of the mind. This likely meant that they would have to accelerate the testing to phase II, which would involve interaction and influence through more direct means within the simulation. She opened the door to her office and removed her headset. Someone with that kind of psychic awareness is rare. The pre-study team recognized this ability in the test subject, but had no indication that he possessed such comfort -and skill- in the use of mental projection. She sat at her desk, then quickly turned to pull her study notebook from stack of books on the credenza behind her. The printer beside her whirred to life. Opening her notes, she skipped to the next available page, and began entering her observations from the morning session. …The subject was highly engaged in the marketplace scenario. He was most interested in questioning presented avatars about the location and their presence there. The boundaries of the scenario were not sufficient to contain his conscious presence, as he quickly noticed and probed the edge of the marketplace framework. The printer beeped. She glanced over and noticed a sheet in the output bin. She was expecting notes from the laboratory team, and reached over to grab the sheet. Finishing her thoughts in the notebook, Eve looked at the printer output page. It contained only two words. The Garden. Eve looked at both sides of the sheet of paper, confused over the words “The Garden”, but nothing else on the page. She switched off the printer, then powered it up again. Turning her attention to other files on her desk, she examined the project milestones summary. The funding for phase II was contingent on a successful demonstration to the Sponsor and they were due to visit next week. The printer whirred again, then spit out another batch of papers. The papers consisted of the familiar cover page of the Wilkes Institute and the scenario criteria she had requested from the study team. She skimmed over each page, then stopped on the last page. Printed in the center of the page was a request. I want to see the garden. 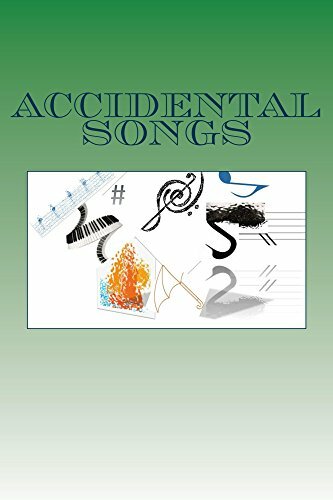 The music started softly – barely perceptible at first. Edward could sense it, but couldn’t hear it yet. Then it progressed in volume until he could hear rhythmic pulse of different tones, moving in scales or intervals – sometimes chordal structures. The music had a soothing effect. He supposed that’s why they used it. It did relax his mind, but he didn’t always allow it to overwhelm him. Sometimes, like now, he watched the melody move. The gaps in the tonal phrase- the rests and pauses -were openings. The notes’ sounds were somehow bent, but smooth and level . He could almost “walk” on them like pave stones. He learned some time ago that if he wedged his thoughts into the gaps between notes of the melody he could move with the sound. Better yet, he found that he could travel upstream of the sound. And in doing so, his mind traveled into places that no one dreamed of visiting. He became part of the infrastructure delivering the music: the wiring, the junctions, anything connected. Edward’s body lay there immobile, almost lifeless, yet his mind was over twenty yards away in the circuitry of the facility sound system. He could feel himself smile. Traveling into the realm of sound and light was exhilarating. Exploring was all he had at the moment. He had been part of this study for several years, since the accident that left him paralyzed and unable to speak. He had once been on staff at the Institute in the laboratory maintenance department. His “gift” was largely unknown. He listened to music all the time, and constantly had headphones or earbuds with him to tune out interferences. He lost himself in music, but that was all contained within himself. This was different. He must have always had this ability, but never exerted it in this way. The different scenarios that the team had presented taught him something different about his ability. In his downtime, his exploration of the building infrastructure was also educational. He learned where the relays were. He found the power grid. He discovered the communications portals, the phones, the computers, the printers. In his subconscious mind, Edward must have known why he said those two words, but his logical thought process questioned it immediately. His memory of the previous afternoon’s scenario certainly was still fresh, but he could have said anything. He recalled his vision of the garden adjacent to the square that he explored. It appeared to be endless. The programmers had obviously made it look endless, as the visual would make the world of his scenario more realistic. The depth of the graphic was ingrained in his mind. I want to see the garden. Eve sat in her chair, confounded by the page in front of her. This was not a printer malfunction. The statement – the demand- was a clear concise sentence. Further, it was plain to her where it had originated. Edward Adams, test subject number 11014. She opened her computer log-in, and typed her credentials. After a few short moments, she was in the Institute’s Resource Inventory Program. She did a search of test subject names, and found it. She opened his file folder, selected all content and clicked print. After a few moments, she gathered the pages into a folder, logged out, and was about to stand and leave, when Dr. Terry Eamon walked in. Dr Eamon was the director of operations for Eve’s division at the Research Facility. “I understand today’s scenario was cut short,” he said. Without waiting for the reply, she grabbed her file folders, a pen, and walked to the door. Eamon followed her, continuing his programmatic excellence sermon. She was not listening. Further down the hall, she split off to the study suites. Eve quickly entered the study suite in the Institute’s north wing. The wing was laid out in an octagon. There were rooms along each of the eight sides and a central control station in the center. The station computer screens were all dark, as no studies were going on at the moment. She sat down at a workstation and logged on, bringing up the facility monitoring program. Typing in the information on subject 11014, she waited a moment, then the screen opened. There was a live feed of the holding room where subject 11014 was currently sleeping. An ongoing readout of vital signs flashed at the bottom the screen. Eve clicked on the vitals window and it maximized. When entering any test protocol, a test subject is fitted with an internal device to monitor any stress effects and ensure the individual’s well-being. In this case, it was a small capsule injected into the test subject which monitored all critical body functions: heart rate, pulse, temperature, blood pressure, and brain activity. She clicked on the historical data – the system backed up data every quarter hour to ensure continuity. Eve looked at the screen rather incredulously. She saw the past hour of monitoring data – heart rate, pulse, temperature and blood pressure all normal. The brain activity had a brief glitch, flatlined, then ramped off scale. That was not the type of response seen for a resting test subject. Outside, the wind was picking up and rain was starting to fall. A storm was moving in from off-shore. Eve logged out of the computer program and stared at the screen. On the screen she saw the flashing text message, only the facility texting program was not open. Dr Woodrow, this is Edward Adams. She hesitated then reached for the keyboard – unsure if this was the thing to do- and typed, what is happening? They exchanged single phrase texts for a few minutes. Edward described the sensation of his transference as “life-like”, in that he felt fully engaged in the resonances and signals around him. The music had been an avenue for escape, literally, since the regular signals originated from a point to which he could move psychically. It was a significant mental respite from the struggle of his condition, not being able to physically move. The wind blew more fiercely outside the window, a quick burst of lightning – and the facility power blinked and shut down. Eve sat in darkness for a moment, then the emergency power flickered and stabilized the critical systems. Edward had not responded. Edward was focusing very hard on communicating. He exerted great effort just to communicate three or four words. In doing so, his attention was drawn away from everything else. Normally, he was aware of the energy and pulsations around his own. When the lightning strike hit, there was momentary pulse and then a great surge of energy. Edward wasn’t prepared for this. His thoughts began to spread out, and he felt inanimate – unusual since this whole experience had been the exact opposite. It was if he had been washed out to sea by a large tidal wave, all the while being thinned and diluted. The energy pulse dissipated almost as quickly as it had arrived and then there was nothing. Edward could sense remnants of energy around him, but his own consciousness was feeble and fading. This must be what death feels like. There was a quick pulse of energy that coursed by him, and then a few seconds later another. Edward waited and then lunged with his last conscious thought. He suddenly was himself again – the whole of his being was reformed after being torn apart. He wondered about the energy pulses. There were no other signals that he could detect, and he was fully intact – well, at least his consciousness was fully intact. Behind him, he felt another energy source appearing. It had regular pulses at first, then a flow of energy trailing after it. It was music. He recognized the way the energy flowed. He jumped into the stream of energy and followed it back its source. Eve was stunned by the sudden strike and darkness. When the emergency power came back on, she sat quietly for a few seconds, until she noticed that the computer station had not rebooted. These computers must not be on the critical systems line, she thought aloud. She darted her head under the desk and found what she was looking for – a battery backup supply unit. She pressed the reboot button and heard the tell-tale whirring sound of the computer. Facing the screen again, it was obvious that computer systems were not online due to the lightning strike. There was only a blank screen with a dos prompt. Without a source of signal, Edward cannot move around, she surmised. Thinking quickly, she typed in the ping function at the prompt to send a signal to the remote location data server. A split second later she received a verification. She typed a repetitive ping command, and the signal was sent out over and over indefinitely -until she needed to stop it. Looking around, she needed a better solution to help Edward. He was likely trapped inside the computer. No power and no intranet meant no incoming or outgoing signals. The ping command would offer a life-line of sorts to bring him to the workstation, but it was only temporary. She opened the desk drawer and rummaged til she found a patch cord. Grabbing her smart phone, she plugged it into the computer. Working in the dos directory of the computer she scanned the screen and typed in the search command for her phone’s directory. “Where is it?” She muttered aloud. She clicked on the file, and typed in the command. The sound came on. The initial sounds of the groove of Night Fever, by the Bee Gees played. Hopefully, this would provide a path for Edward. Edward did not realize where he had ended up. The surroundings were somehow more confined, yet significantly more interacting. There were pulses and signals were all around him, but packaged away from him. He could reach and touch any number of energy streams if he wanted to, but they seemed infinitely far away. Eve pick up her phone and looked intently at the screen, half hoping to see his face pop on facetime or at least see a text. She could try communicating, but with what? She opened her texting program and texted her own cell number. Are you there? She smiled as she sent it. Texting herself. Edward was amazed at all of the different avenues that he could take. He had never been presented with so many choices. It was daunting. The signal came quickly through the other noise. Are you there? Where am I? He found the origin of the question, and answered. Yes, I’m here. Eve quickly texted her explanation of occurrences: the lightning strike, the power outage, her rapid plan to recover him. The flurry of information continued to flow. Edward was silent, then asked, What about me…I mean, my body? Where am I? Eve had not thought about that. She was so cognizant of his presence, that she forgot that he – his body- was laying in the adjacent room. She stood and walked over to the viewing glass for Edward’s suite. The room was dark, except for the monitoring equipment and life support systems. All of these were on emergency power. The heart and lung monitoring systems showed normal. The brain function scans were faint and weak, probably due to Edward’s interaction with the lightning strike and now his significant separation (electronically speaking) from his body. When the brain function becomes this weak, there is a very real danger of him slipping into a coma. Eve grabbed her stack of folders and her phone, and quickly left the suite. Eve settled into her office. The rain was still falling hard. She could hear the rush of wind and water against the window. The trees in the courtyard were shaking and swaying in the storm. They all seemed to move in unison. The emergency lighting gave everything a dim glow. She glanced over and tapped her cell phone switch. The screen flashed on. It still had 65 percent battery life and the music app was still running. She picked it up and mindlessly placed it in the wireless charging cradle. Oh. yes she thought out loud, no power. Edward was fine for now – she thought- but she had to figure out a better long-term solution. His body lay in a coma in the study suite. His conscience was …. what, floating around inside her cell phone. And worse yet, even if she returned him to his body, he was never going to walk again. That seemed a cruel fate. Eve rummaged through her desk drawers until she found a pen light. She clicked it and saw that it worked. Turning to her filing cabinet, she opened the bottom drawer and pulled the file marked “Resonance Papers.” She thumbed through the stack of copied journal articles until she found the one that she remembered. Eve had done her dissertation research on resonance signals in natural environments. As all good doctoral students did, she photocopied and filed every paper relevant to her field, and was loathe to give them up – even after 5 years. As she read the paper in the pen light-assisted darkness, a plan began to form in her mind. She jotted some items on a note pad. Taking a deep breath, she picked up her phone and texted Edward. She told him how is body had slipped into a coma and returning him would be dangerous to this, whatever this was, form of his consciousness. How she was conflicted over returning his conscious ‘spirit’ (for lack of a better word) to a shell of a body that would never walk again. Even though he had an incredible gift that was getting stronger every day, and that gift would likely keep him motivated, she couldn’t bring herself to committing him to that existence. There had to be a better way. Eve briefly explained her idea. By transmitting the music from my cell phone through a probe, the resonance will set up vibration patterns in an appropriate host. Studies have shown that plants can transmit resonances introduced from insects up to several hundred feet. If we introduce the signal that has you in it, you should be able to move freely within the cell structure of the plant-as long as there is a latent resonance. Edward thought about her idea. He was not in much of a position to argue against it. He had been trapped in his motionless body for too long, and this offered some opportunity to go even beyond what he had learned to do in an electronic world. While offering a certain freedom, it was still confining. He remembered trees and plants- how they seemed to always worked in conjunction with each other. The wind moved each leaf or branch, and groups of trees seemed to move in unison. Plants played host to a myriad of small creatures that when moving from branch to stem, moving from leaf to leaf, all left an imprint of a sound – however small. Eve began to gather the items she would need. She put some cables, a small signal amplifier, and a resonance probe in a box. Grabbing her cell phone, she walked out of her office and down the hall to the courtyard door. Through the large windows, she could see that the rain had stopped. There were still rumbles of thunder in the distance and an occasional flash. The storm had moved on. Walking out into the courtyard, she felt the chill of the night just past the storm. There was still a slight drizzle. In the center of the courtyard, there was a spruce tree with a landscaped space encircling it – containing a number of different flowering and green leafy plants. She crouched next to the area and began assembling her device. She inserted the probe into the soil immediately next to a large hostas, and connected the cables to the amplifier. Swiping her phone screen, she opened her music app and touched the play icon. The screen menu read The Weight by The Band. She supposed the type of music didn’t really matter, but somehow that song seemed appropriate for the moment. She reached over to the amplifier and slowly increased the dial. The stillness of this world inside electronics was unlike stillness of life in his memory. In life, stillness wasn’t ever completely still. There was always something, a breeze, a fly, the sound of breathing. Here, everything was nothing, until it was something. Total and complete deadness – followed by an immersion into life. That was how this began. There were a couple of quick perturbations, then a steady pace of signals that enveloped him. He followed along. He moved with the steady pace of the music’s signal, it was an easy pace to keep. Edward suddenly found himself in a different environment. Edward assumed that he had made the transference into a plant. The surroundings in man-made electronics were stark and cold – the pulsation of the signals was all there was. Now, in addition to Eve’s music soundtrack signal, there was something else. He sensed something warmer and much more interactive. It felt familiar, yet unlike any interaction he could remember. It was as if he were totally immersed into an ongoing conversation for which he knew the beginning and the direction it was headed. All of the different reverberations were accessible. They were responsive and they were old: Ancient echos that continued from past storms. Voices from old souls. Vibrations from breezes. Slight perturbations from beetles walking on stems. They were both ever-present and changing. And they were infinite. The next morning, Eve awoke to the buzzing sound of her phone. “Hello?” It was the facility director on the other end. “Ok then, Adams…” his voice trailed off into irrelevant details that Eve ignored. After agreeing to meet him, she hung up the phone. She turned in her resignation the next day. The funding client had decided to withdraw from the program to pursue other goals. That left Eve with no funding support, and with no prospects for her research, she felt the need to move on. The investigation into Edward Adam’s death revealed his death was due to natural causes, and Eve was cleared of any malfeasance. Eve took a position with a small electronics firm in a nearby town. The pay wasn’t great, but she was able to come and go as she pleased. She took her lunch breaks in the town square, and could be found with her headphones underneath a large oak tree. Nobody seemed to notice the small tablet and signal amplifier, or the probe inserted into the ground next to the root. ….annnd, put the load right on me. This entry was posted in Blogroll, flash fiction, prose, Uncategorized, writing and tagged creative writing, fantasy, flash fiction, prose, science fiction, short story on October 5, 2017 by John S.
If you’ve happened upon this post – Thanks for visiting. Normally, I post poetry because this is a convenient outlet for expression. I just finished An Instance of the Fingerpost, by Iain Pears. I bought this second-hand on my birthday over a year ago. It is an ambitious novel, and the premise is intriguing – to tell the story of a crime from multiple points of view. The story is filled with twists, perspectives, unreliable narrators, and Dickensian description and dialogue – this aspect which made it difficult for me to engage (which is why it took me so long to finish it). The ending was worth the effort. And in thinking back on how the story was told and the details that the author integrated into each account of the tale, the work was well done. I find the debate of what to do about statues to confederate civil war icons (note I did not say heroes) and symbols both troubling and cathartic. I will state upfront that I am a southerner, born and raised, though I have live much of my adult life in the midwest. During my childhood, I was enamoured with the romantic view of the south (Antebellum plantations, the Lost Cause, Civil War history). As a young reader, one of my favorite books was the Robert E. Lee biography in the “Who was” juvenile biography series ( along with JFK and The Wright Brothers!). My continued experience and education has helped shape a more well-rounded view of these events. I still have an interest in Civil War history and writers of that period, but do not hold such a romantic view of the South’s intentions and reasons for seceding. Nevertheless, I consider it an important part of our country’s heritage and growth. What is troubling is the amount of time being given to extreme viewpoints and attempts to legitimize them, when their only goal is to disrupt peaceful discussion and incite hate and violence. Further, they have taken the iconography of confederate civil war symbols and combined it with the message and symbology of nazism and white supremacy. This is not American, nor does it reflect the context of our history. They don’t get to abduct this part of our history and manipulate it for their ends. Our nation was founded on principles of compromise and civil discourse. There are differences of opinion, and there are cracks in the foundation because we are human. These groups don’t get to weasel in between the cracks and put up walls to divide us. As Americans, we should not stand for hate or divisiveness. We’ve already fought over that and learned good, albeit painful lessons. American history is rife with right and wrong, and lessons to learn. And too often, I think we place our 21st century perspective on events of the past without first seeking to understand the past. What is most important is how well the history is recorded. I see history as way to learn (as a society) from mistakes as well as point to moments of success together. Is there equal balance in books and essays and can the information be taught to succeeding generations so they have a good perspective of the issues of the past, the philosophy of the era, and what was learned from it. We should never aspire to go back to the way things were, but we need to shoulder our history and learn from it ways to improve moving forward. As long as we have books, and we teach and discuss the historical subjects openly and without bias, our history won’t vanish (as some of our fear-mongering ‘leaders’ have implied). Statues without stories give us nothing to keep the historical perspective and invite bias. Bias invites extremism and silos of isolation (people who think like ‘we’ do), along with walls and media outlets that fuel and inflame. And if we continue to build walls around (literally and figuratively), all we will accomplish is division. Abraham Lincoln had something to say about divided houses. We are all engaged in telling the story of America much in the way I tried to describe the book I just finished. There are events that are observed and experienced by different people who bring different perspectives. The different stories can be skewed by personal motives, some are unreliable and others rooted in fact. America is still a young country by global standards. Yet, we fight battles as old as civilization itself – and it is important to remember -prejudice and hate have no place in our discourse. Don’t be fooled by prejudice disguised as patriotism – Our history defines our path very clearly on this. This entry was posted in Blogroll, history, knowledge, prose, southern, Uncategorized, writing and tagged books, Essay, history, Opinion, prose, statues, writing on August 27, 2017 by John S.
It’s simple consistency and the ability to hold different flavors makes it the perfect dessert. Strawberry, lemon, cherry…lime is my favorite -by far. 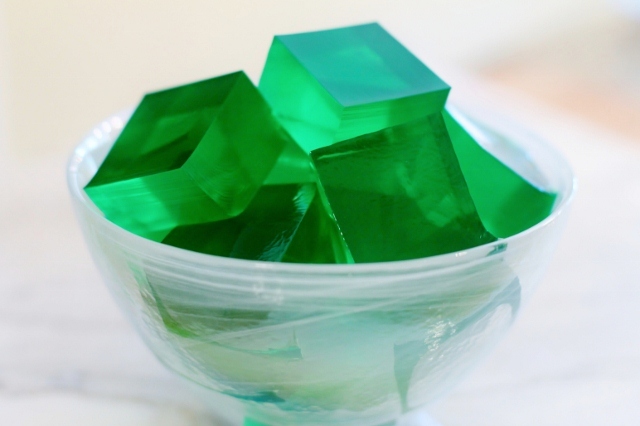 Green jello. It is easy to make: Just add warm water, mix, and let it set. It can be served up in little dessert cups, in larger pans and then cut into slabs or cubes. This delicacy is unique. It holds form. You can depend on it…mostly…to be the same every time you make it, only becoming distasteful when it is stale. I recognize that this love for jello goes back to my childhood. During my hospital stays for various surgeries, the food was never a favorite – it was not consistent – nor was it the easiest to eat at the time. I don’t really remember the meals, but I remember the jello. Cool and soft, flavored, and easy to eat. It is also versatile. You can mix it with other things to contribute that flavor. Mix with whipped white topping giving a fluffy fruit flavoring. Or mixed with fruit itself. Or as shots with liqueur. I’m not as much of a fan of jello salads, perhaps I feel the other ingredients overwhelm the flavor in the jello itself…which is funny, because gelatin is really only a medium to hold things together. The fact that jello is flavored is a bonus, I suppose. I seem to appreciate that bonus, so I don’t really care for the desserts that “contain” jello. When we eat at our favorite chinese buffet restaurant (the one that plays smooth jazz), I always check out the jello dessert on the salad table. My son looks at me with doubt, and says “You know you are always disappointed that the jello is stale.” This is true. Jello that is “old” develops that toughened layer on top where it has dried out over time. This ruins the trifecta of form, flavor, and texture. Nine times out of ten, I am disappointed. But I keep trying the jello. I’m persistent like that. They don’t serve lime-flavored, though. I recognize that my use of the term ‘jello’ may be implying that I endorse a particular product of gelatin dessert. Jello has become such a ubiquitous product that it’s identification is similar to kleenex ~tissue, coke~carbonated beverage, etc. This entry was posted in Blogroll, Food, knowledge, nostalgia, prose, Uncategorized, writing and tagged comfort, food, jello, lime, Not Poetry, persistence, prose, writing on July 12, 2015 by John S.
Please forgive me if my poetry wanes a bit over the next “while.” I feel as if NaPoWriMo 2015 exhausted me. For a writer who generally lets things stew a bit before committing them to characters, 31 poems in a row takes it out of you. I don’t know how the poem-a-day folks do it. You could tell by the end of April, I was grasping and relying on simple forms to get me over the line. They might turn into bigger things someday. Further, I’ve got a lot of life juggling going on right now. The good news is…I’m back to work. YAY! After 9 months of slogging away in the job market (it is no picnic), I received a job offer from where I least expected…and wasn’t even considering- my former employer. I am very grateful and hopeful for a better direction than my previous position offered. I am excited about learning new things. It’s a little weird going back to work at a place from which you were dismissed. Even if the reasons are business/budget/headcount-related – getting let go is painful. But, it is going to be fine. I think it was a productive time, though filled with doubt and stress at times. I definitely felt the support of friends and family, especially my wife and two sons. So, if you are going through something like this: Stay busy, putter, focus on what matters, give yourself some time to grieve and move on, allow yourself some fun, learn something new, don’t give up. This entry was posted in Blogroll, prose, self confidence, writing and tagged by the numbers, Life, Not Poetry, prose, unemployment, writing on May 9, 2015 by John S.
I’ve been doing a bunch of bits and pieces of things over the past week, I feel very scattered. I haven’t really had time to sit down and write much. This is OK. Life happens. I do have a lot on my mind these days. I had some blogworthy tidbits I wanted to jot down, but they were not worthy of single posts…kind of like kernels of popcorn that presented themselves. National Poetry Writing Month is just around the corner. I last participated in 2013 (I think). I proudly completed the entire month for the first time. Well, I’m committing to do it again in 2015. It’s a good way to stretch your poetry legs, gets some things written down, try new forms, and shake out the dust. If you are a poet, and are participating, let me know. So we’ll see how this goes. Spring is getting its claws in the seasonal change, judging from the number of robins that I’ve seen recently, the rapid changes in weather that are apparent, and my allergies ramping up. I’m looking forward to the green landscape though. This was posted in a twitter account entitled “ShitAcademicsSay”. I don’t know the origin of the quote, and have been looking for it’s primary source. The original context apparently has to do with academic publishing and review, but I see it as a more universal restatement of the golden rule. I like it. I heard Nat King Cole’s version of Smile a few weeks ago. The music by Charlie Chaplin, John Turner and Geoffrey Parsons added the lyrics and title in 1954. It was a mantra for a few days in the bleakness of winter. I love how a verse, a song, a quote, or even a picture can present a moment of beauty and relief. This entry was posted in Blogroll, knowledge, Music, nostalgia, Poems, poetry, prose, Uncategorized, writing and tagged kindness, NaPoWriMo, Not Poetry, Popcorn, prose, Quotes, Smile, thoughts, writing on March 26, 2015 by John S.